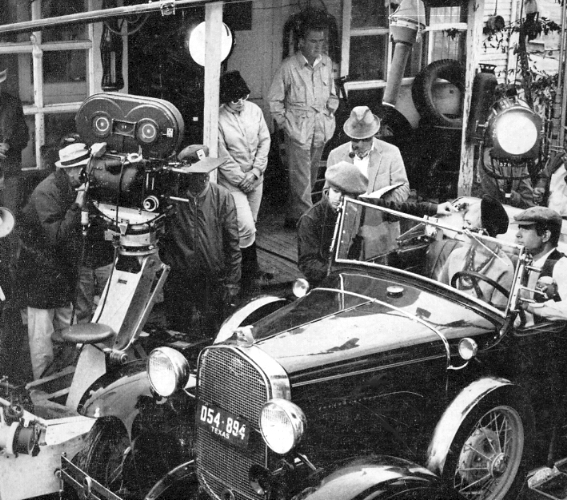 Screening: Bonnie And Clyde (1967) 50th Anniversary. Bonnie And Clyde (1967) is one of those movies my whole family loves. What does that say about us? Anyway, we’re all excited about the 50th anniversary screenings coming this August from Turner Classic Movies. My wife came across the link today, and you can already buy tickets. 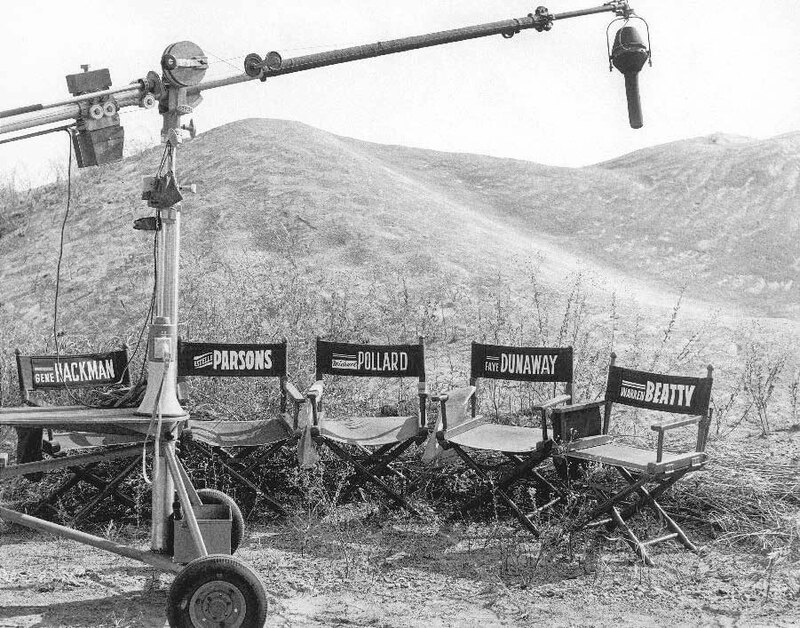 So, does this mean we can count on Warner Bros. and TCM to bring Sam Peckinpah’s The Wild Bunch (1969) back in a couple years? 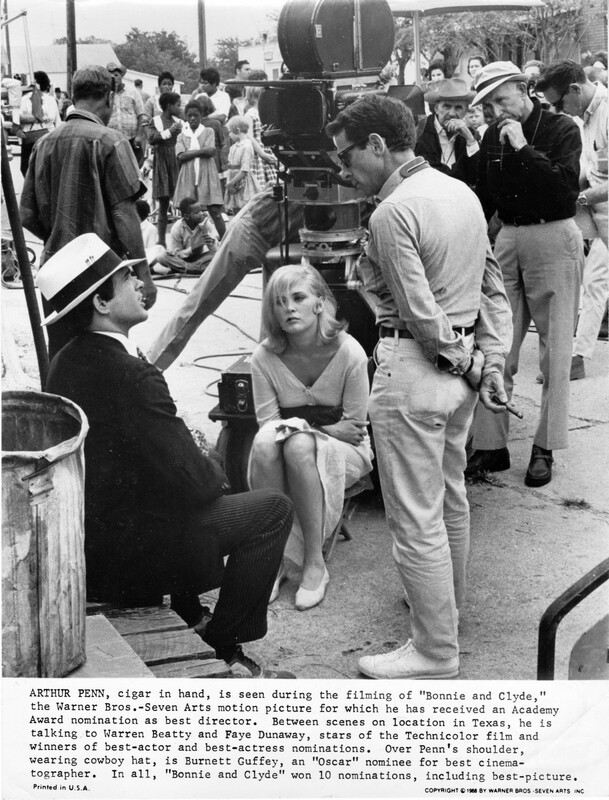 Making Movies: Bonnie And Clyde (1967). 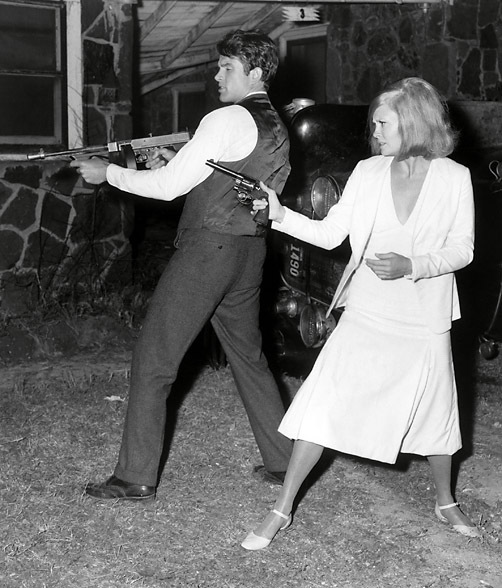 I’ve always loved Bonnie And Clyde (1967) — and always been fascinated by how it all came about. 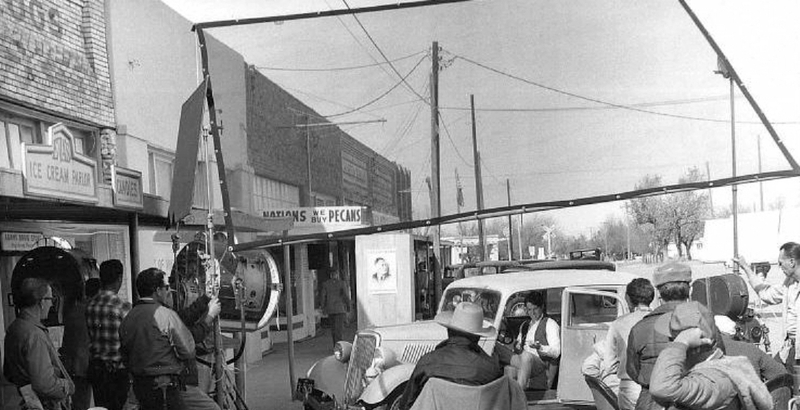 Here’s Arthur Penn, Gene Hackman and Warren Beatty — obviously shooting the scene where Buck Barrow gets shot. This one spares me the trouble of writing anything. This is the scene where Bonnie and Clyde meet C.W. Moss (Michael J. Pollard). The real Bonnie and Clyde robbed the bank in Ponder, Texas. 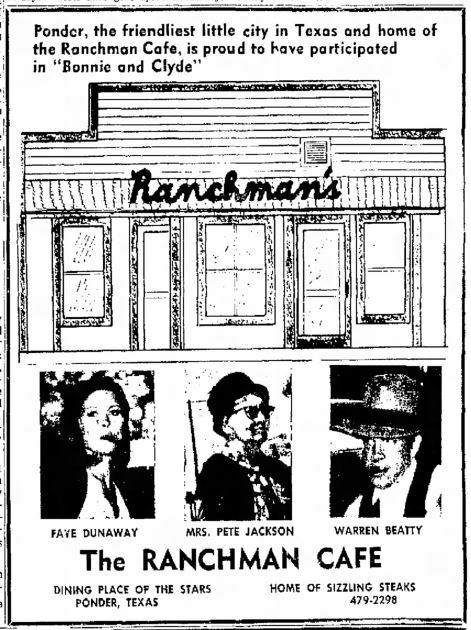 The Ranchman Cafe ran this ad after the movie people came to town. The cafe is still there — and they claim John Wayne ate there, too. One of the great achievements of Bonnie And Clyde, as I see it, is how well it captures the rural Texas way of life. My grandparents lived in Strawn — not far from the National Guard Armory in Ranger, robbed by Bonnie and Clyde. Aside from all the shooting, the movie feels a lot like my summer visits to towns like Strawn, Breckenridge and Albany. 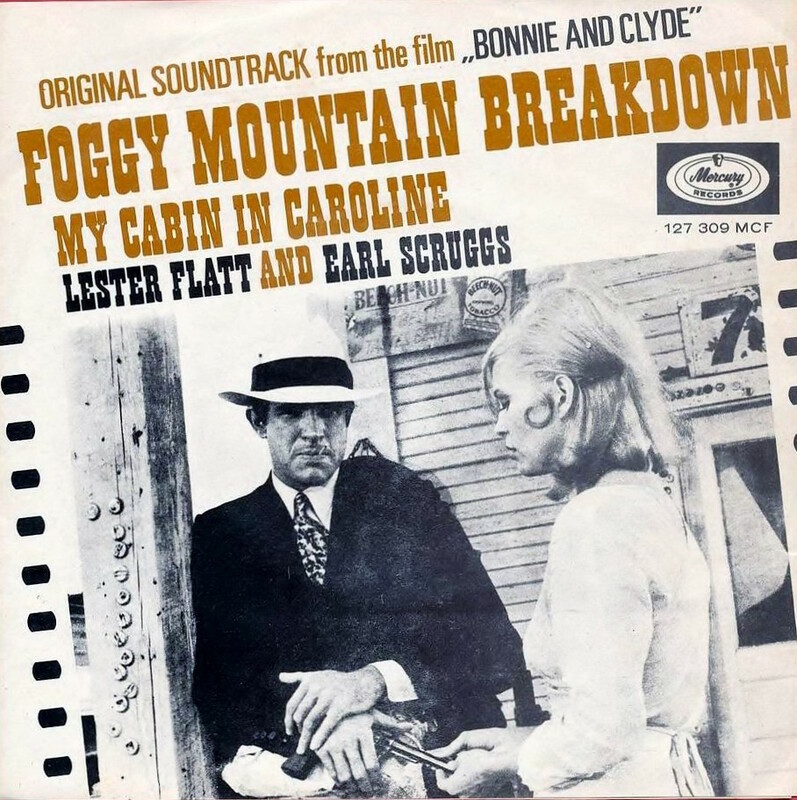 It (and The Beverly Hillbillies) also introduced me to bluegrass. 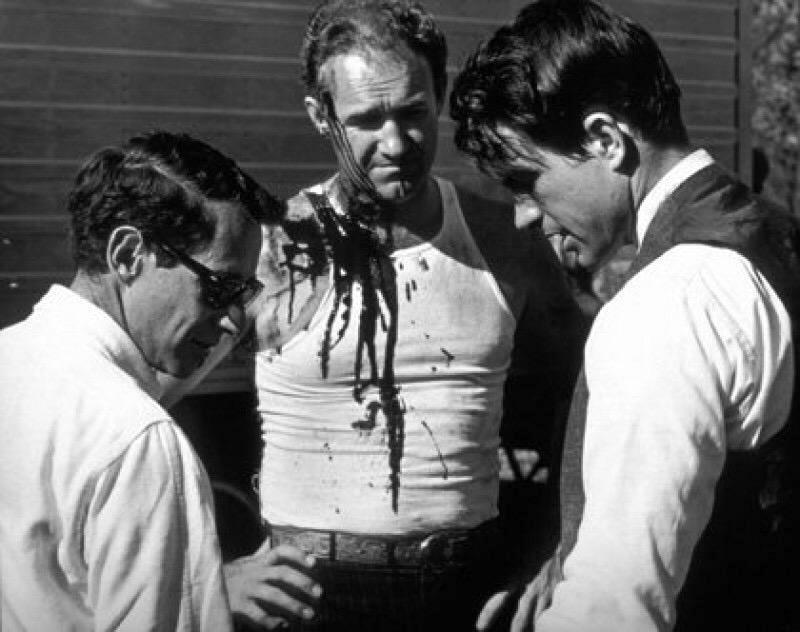 Screening: Bonnie And Clyde (1967). 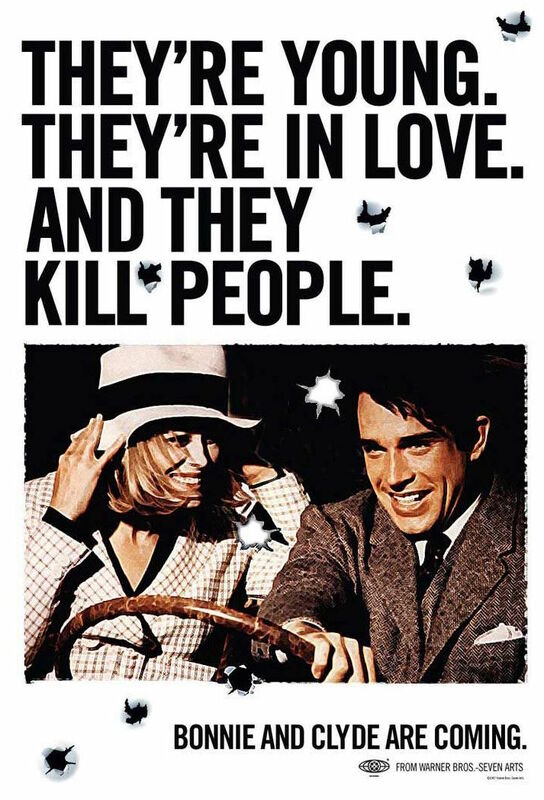 Bonnie And Clyde (1967) is one of my favorite films. And this screening sounds terrific. It’s at the landmark Million Dollar Theatre, the first movie palace built by Sid Grauman. Before the show, there’ll be live jazz and ragtime by the California Feetwarmers. 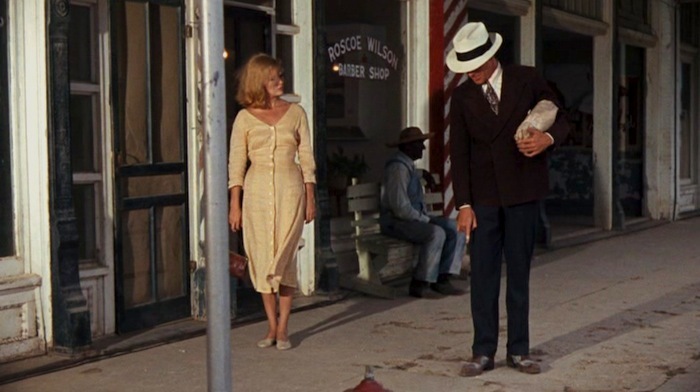 Dialogue Of The Day: Bonnie And Clyde (1967).